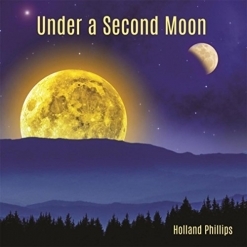 Although Holland Phillips’ music is usually categorized as “new age,” he is classically-trained and has a degree in Music Composition. He has been producing and recording new age music since the mid-1990’s, and his first album, Flight of the Windmill, was released in 1994. He has also focused on music therapy and how sounds affect the human body. While in school, he learned learned to play most of the orchestral instruments to better understand their characteristics. After college, he spent a number of years touring with rock and show bands throughout the Midwest and Canada and did studio work in a number of genres. It is no wonder that his original music is so varied! Circles of 8 opens with “Starting Over,” a haunting minor key piece that is fully-orchestrated and has some strong rock elements - an intriguing start! 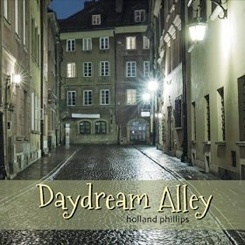 “Night Tracks” follows with a catchy rhythm and cinematic orchestration that is moody but very beautiful - a favorite. “Stephanie’s Song” introduces Paul Christensen and his soulful sax - the perfect addition to this passionate slow dance (it would also be excellent behind the closing credits of an emotional movie!). “Save the Dance” has a gentle swaying motion that is both soothing and relaxing. The title track begins with slow, mysterious vocals, piano, and strings gradually adding more instrumentation and emotional expression as it evolves. Serene and sensual, “The Moment” is a breath of fresh air. “Lullabye For Us” brings the album to a warm and cozy close, refreshed and ready to move forward. 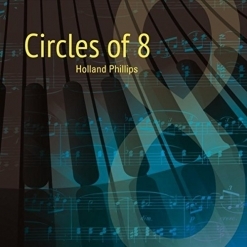 Circles of 8 is available from Amazon, iTunes, and CD Baby. 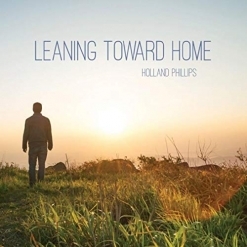 Recommended - especially for fans of electronic music that is melodic rather than ambient!